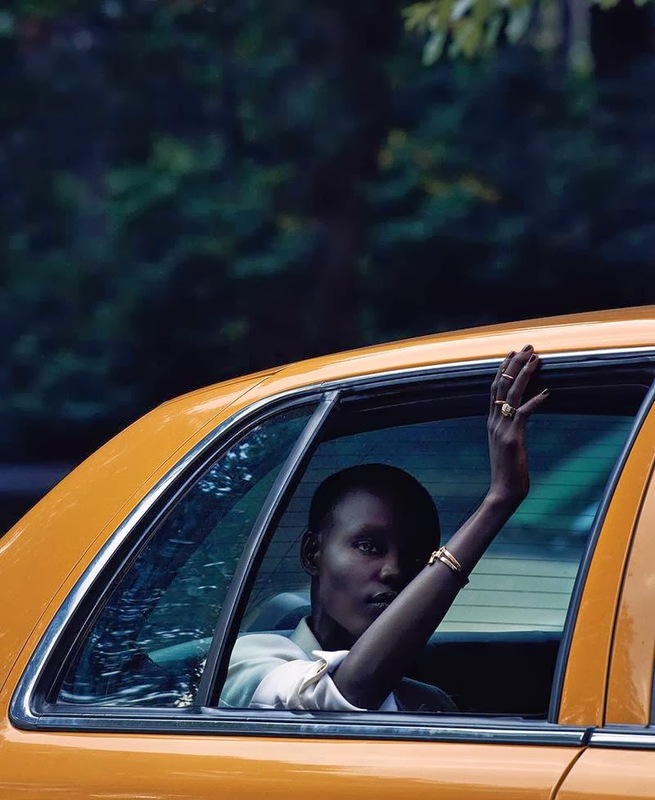 Sudanese model Grace Bol brings her luminescent one-of-a-kind beauty to the pages of New York Times' Style magazine. Captured on the streets of Manhattan by photographer Julia Noni, Bol exudes an air of nonchalance as she traipses from one end of town to the other wearing ensembles inspired by urban menswear. Bol migrated to the US from her native Sudan at the age of 6 and was discovered in a shopping mall in Kansas four years ago. Having recently switched representation to Elite Model Management in New York, Bol's modelling options appear to have stepped up a notch with key editorial appearances in i-D, W Magazine, and American Elle. 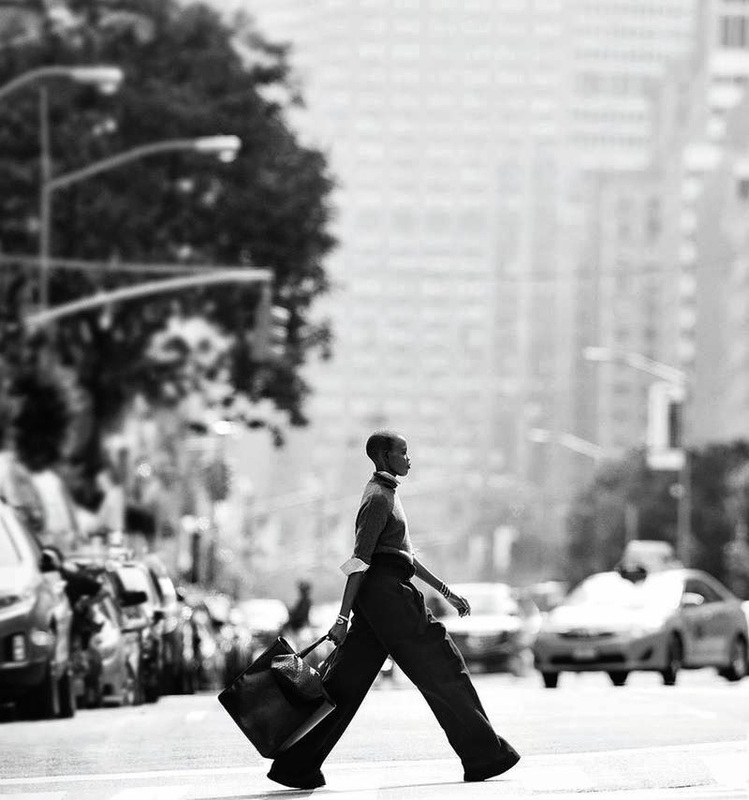 Bol's presence was also felt throughout the Spring/Summer 2014 show season via riveting turns on the runway at Kenneth Cole, Opening Ceremony, Tom Ford, Julien Macdonald, Lanvin, John Galliano, Paul Smith, and Philipp Plein. IMA had the pleasure of running into Bol at the Oscar de la Renta castings during the Spring/Summer 2014 collections, and was floored by her immaculate skin tone, radiant smile, and jaw-dropping chiselled bone structure.